This elegant three bedroom split level apartment is presented in excellent condition. The property comprises of a generously sized rooms throughout, with a fitted kitchen, a large reception room which has a feature fireplace and extra storage. The spacious master bedroom has fitted wardrobes, and an en-suite bathroom featuring a roll-top bath and chic fittings. A further two generous bedrooms can be found with fitted wardrobes. The apartment also benefits from access to well kept communal gardens. 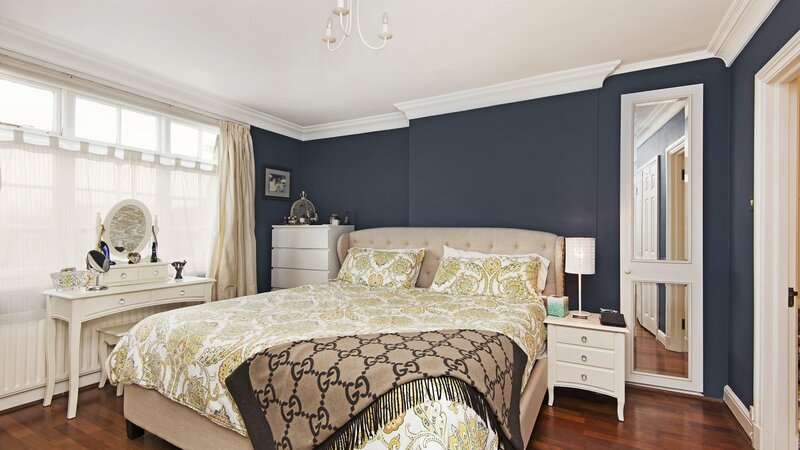 This delightful property situated on Grosvenor Hill is located at the heart of Wimbledon Village, in a quiet cul-de-sac; just moments from the cafes, restaurants and boutiques. Wimbledon Mainline is the closest station, just moments away, which offers an Overground, Underground (District Line) and Tram link.